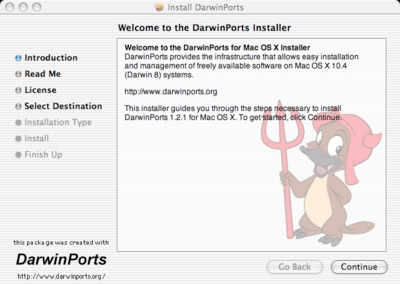 Thanks to Jyrki Wahlstedt there is now a new way to install Midgard CMS on a Mac: DarwinPorts. I’m now testing his packages and will update the installation instructions as soon as I’m done. Updated 2006-04-21: I’ve got the DarwinPorts Midgard now running on my PowerBook G4. At first look, it is a lot faster than the Fink packages, possibly due to using MySQL 5. Unfortunately the installation procedure is not as smooth as it could be, mostly because the PHP and Apache packages lack decent default configurations. I hope we’ll be able to resolve that later.